Well, the correction is taking too much time. We can’t exclude a possibility that wave (5) may take the form of diagonal triangle pattern. In the near term, the Index is expected to start moving upwards. 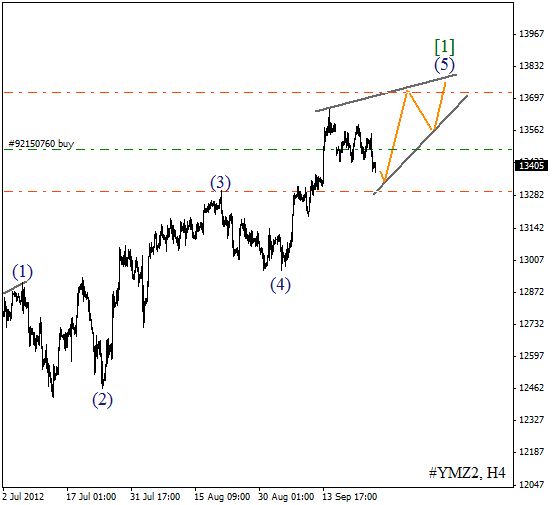 The target for the bears is at the level of 13700. 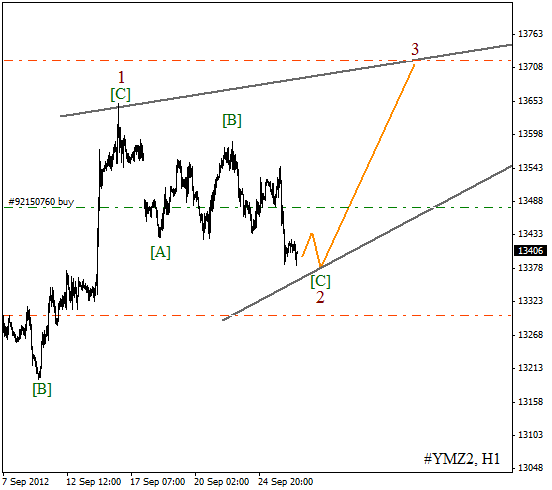 At the H1 chart the price continues forming zigzag pattern inside wave 2. Within the next several hours the Index may complete wave [C]. Later, we can expect the price to start growing up and form a bullish wave 3. The price continues a correction movement, we may assume that Oil has already started moving downwards inside wave [C] of 2. Earlier the instrument formed an ascending impulse inside wave 1. Most likely, the price will continue falling down during the next several days. 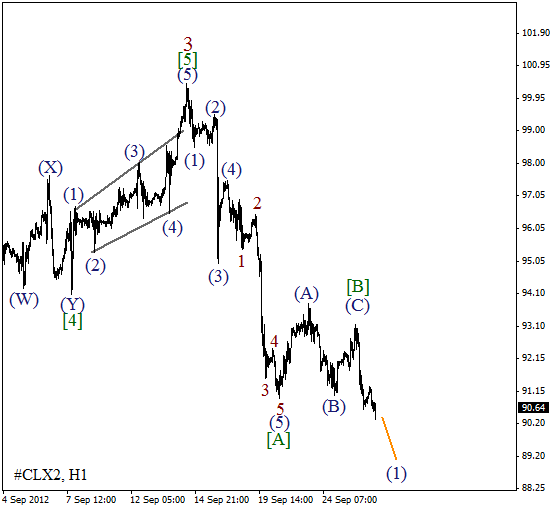 We may assume that yesterday the price finished wave [B]. 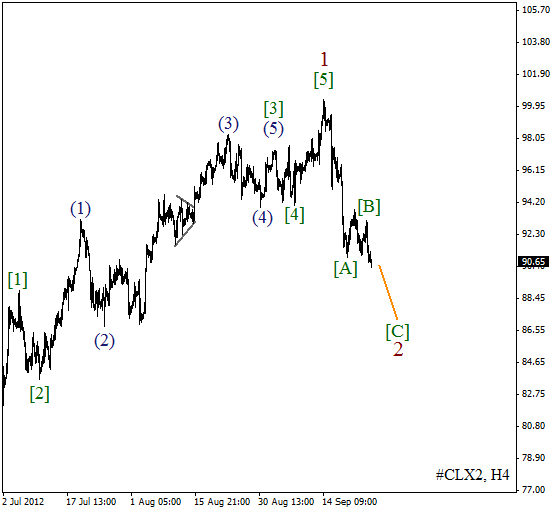 On the minor wave level Oil has started falling down and form wave (1). The forecast of the price movement is still bearish. The short-term target is at the level of $87 per barrel of Light Sweet.